By Carl Slaughter: I’ve interviewed Rob Dircks twice. Once for Diabolical Plots about his experiences with self publishing, once for SF Signal about his Where the Hell is Tesla characters. He just came out with a new novel. I was very intrigued by the jacket copy. In the interviews, he talked like his next project would be a sequel. But he went in a different direction. Hi Carl, Thanks for your interest in the new novel, The Wrong Unit. You rock! I DON’T KNOW WHAT THE HUMANS ARE SO CRANKY ABOUT. Their enclosures are large, they ingest over a thousand calories per day, and they’re allowed to mate. Plus, they have me. An Autonomous Servile Unit, housed in a mobile/bipedal chassis. I do my job well: keep the humans healthy and happy. Rob Dircks, bestselling author of Where the Hell is Tesla?, has a “unit” with a problem: how to deliver his package, out in the middle of nowhere, with nothing to guide him. Oh, and with the fate of humanity hanging in the balance. It’s a science fiction tale of technology gone haywire, unlikely heroes, and the nature of humanity. (Woah. That last part sounds deep. Don’t worry, it’s not.). 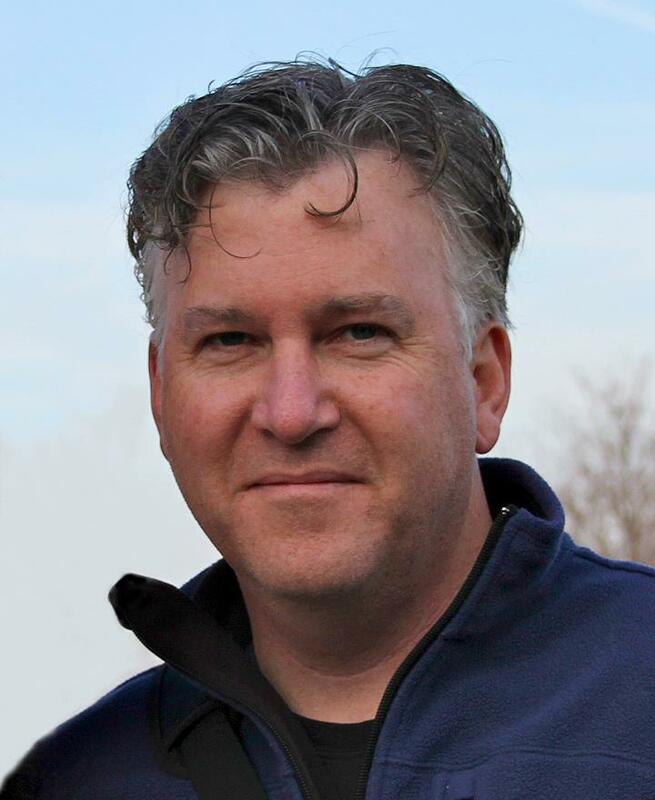 Rob Dircks is the bestselling author of Where the Hell is Tesla? and a member of SFWA (Science Fiction & Fantasy Writers of America). 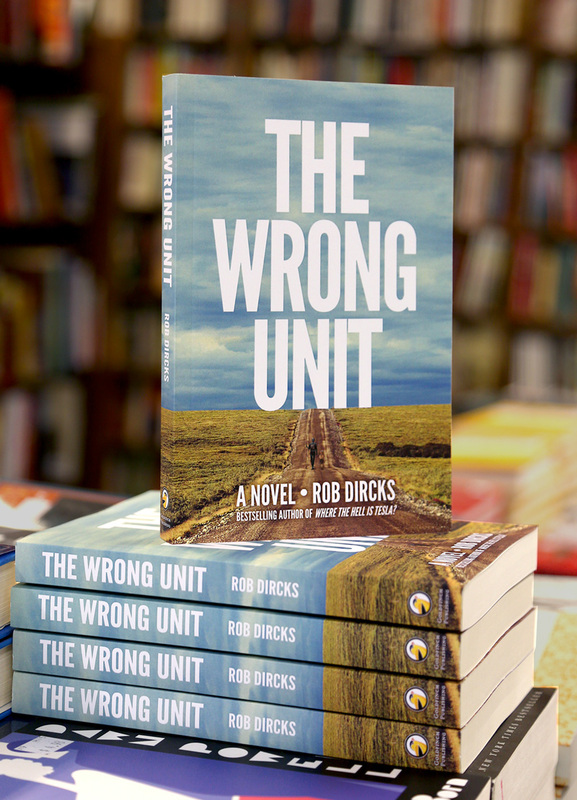 His new novel, The Wrong Unit, is available now at Amazon. His prior work includes the anti-self-help book Unleash the Sloth! 75 Ways to Reach Your Maximum Potential By Doing Less, and a drawerful of screenplays and short stories. When not writing, he’s helping other authors publish their own work with Goldfinch Publishing. This entry was posted in Like Show Business and tagged Carl Slaughter, Rob Dircks by Mike Glyer. Bookmark the permalink.